If you want price details or wish to order a free viewing all you need to do is dial 020 3746 1366 or complete our booking form. We can process your inquire right now! We can help you with your entire outdoors house upkeep too. Our gardeners North End NW11 are skilled and prepared to perform a detailed downpipe and gutter cleaning in order to reduce clogging and also water damage. We guarantee full mildew and dirt clearance. Our roof cleaning and outdoor window cleaning services are carried out using powerful jet washing devices and telescopic poles for easy access. If your outdoors space ought to be beautified or requires regular upkeep, do not hesitate and order our excellent gardening services right away! 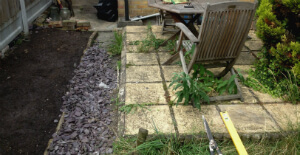 Our professional gardening company in North End NW11 has been on the market for 10 years. We constantly point out that our success is as a result of the big determination we`ve got to advance in our services and to keep all clients satisfied and happy. Right now, professional garden maintenance services have more than FIFTEEN thousands of happy clients. This means 15 1000s of lawns maintained in proper condition. We do provide lawn mowing and lawn care - reseeding, patches, fertilizing, watering edging, as well as special autumn lawn care and spring lawn care like lawn repair, lawn scarification, lawn aeration and lawn feeding. Notice that Ashlee House Cleaning has no day-off when it comes to our efficient gardening services. We can deliver you convenient offers for a regular daily, fortnightly, weekly or monthly base. Our adept landscape experts will assist you with professional guidance and garden design North End NW11 for making the backyard of your dreams. We could help with the garden concept planning and also the actual plant growing and building of any outdoors space - from backyards to roof terraces. Using our landscaping services, even the most ignored garden can turn into a fabulous one and will be admired by all passers-by, others who live nearby and persons visiting your house or commercial premises. Not just can we handle the design and maintenance of your garden, but we can provide you with powerful pressure washing for your walkways, driveways, patios and garden fixtures. With our jet washing North End service, you can be certain that you have the finest patio & driveway cleaning in the region. All of our services are completely covered with insurance. Our customer assistance team is at your services for all kinds of garden care requests. You can arrange a viewing by our our pro gardeners by calling 020 3746 1366 or by filling out our online request form. Our gardening North End service is readily available 365 days a year. We will arrive in any kind of weather conditions to provide you with the gardening or outdoor cleaning and maintenance service you will need. All of our regular clients, and also the landlordsestate and region agencies in the will be given special discounts prices. We offer additional for any request service you along Make with the gardening. backyard your area an excellent with spot for spending time loved ones your buddies and expert - book our right now gardening service !